Back around Christmas I posted this little procedure for making your own icons, with the promise that sometime I’d get round to writing it up as a script. Well, reader Cameron Leask has saved us all the effort and created this great little Automator workflow to do just that! Download the workflow by clicking on the Automator robot below. When the download’s finished (it’s only 2MB), save it in your Applications folder. To use it, just click on it to run. The first time you do that you may need to override your GateKeeper settings. Once you’ve allowed the app permission to run, choose the image you want to make into an icon and click ‘OK’ or press ‘return’. Cameron’s workflow will do the rest. 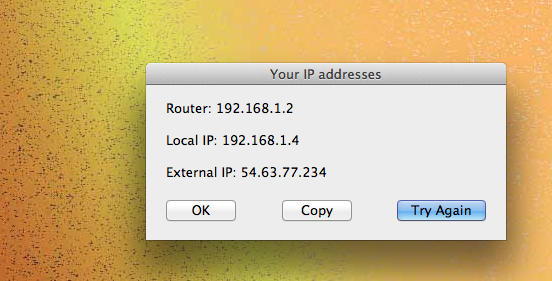 After a few seconds, you should see a little confirmation dialog telling you the icon is on your Desktop. Be sure to change the name of your new icon and/or move it to somewhere else before running the workflow again (or the next icon you create will overwrite the previous one). 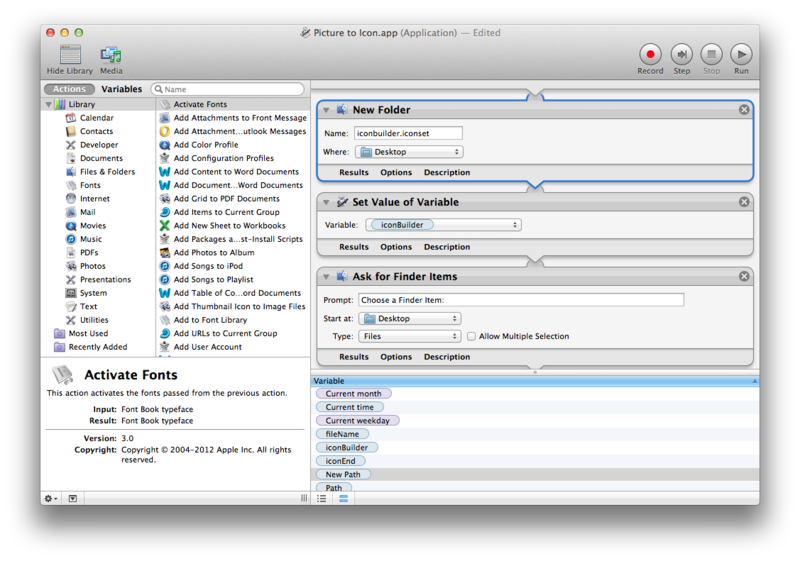 Got your own favourite Automator workflow or AppleScript you’d like to share? I’d be happy to consider posting them on Applehelpwriter. Just drop me a mail.